This is an awesome capture. I love the field and the motion of the kids doing what they do best, running around. Perfect shot. Thank you. I take a lot of shots of my grandsons, just don’t post many on the blog. 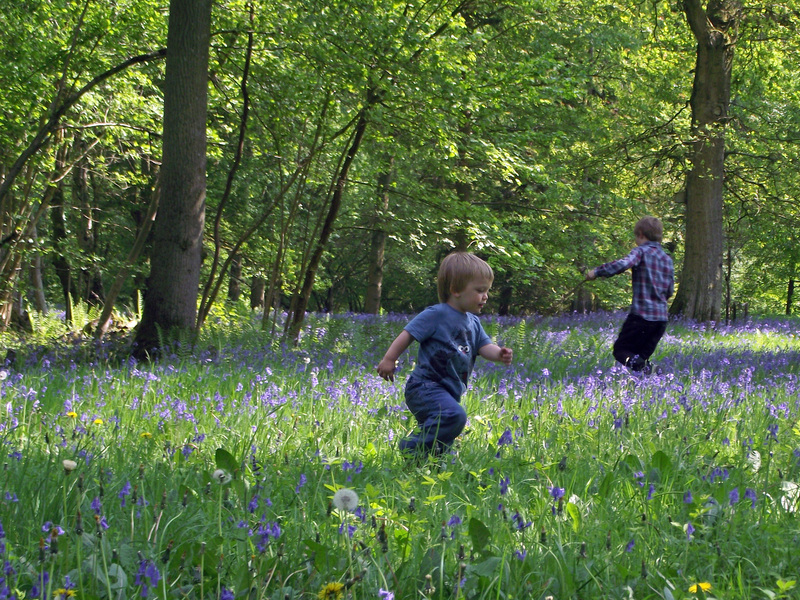 Beautiful shot of the children, especially running among those beautiful blue flowers. I usually don’t enjoy people pictures, but your grandchildren express the joy of spring – both the season and time of life. What a beautiful place and a perfect representation of joie de vivre!